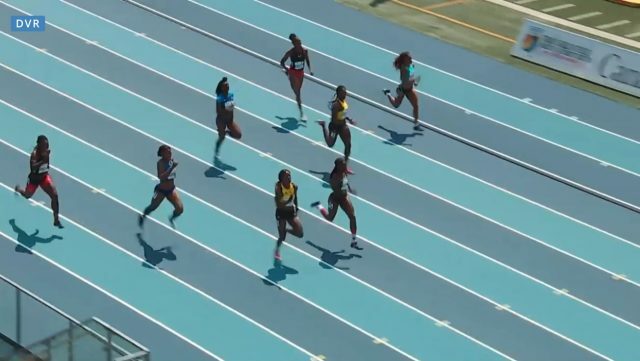 Shericka Jackson has won the women’s 200m gold on Day 3 and final day of the 2018 NACAC Track & Field Championships underway in Toronto, Canada. Jackson held off a strong challenge by Canadian Crystal Emmanuel to win in 22.64. Emmanuel finished second in 22.67 seconds. Jamaican Jodean Williams finished fourth in a time of 23.19.